We, the members of the National Association of Black Journalists, who are striving for credible journalism that comprehensively portrays the voices and experiences of African Americans and people from the black diaspora for a society and world that values them, do enact and establish this constitution for the governance of our members. Article I. Name and Symbol. Section 1. Name. The organization’s name shall be National Association of Black Journalists Inc. Section 2. Initials. The organization shall be known by the initials NABJ. Section 3. Symbol. The organization shall adopt an official corporate seal that may include the date and place of incorporation, the symbol of NABJ, the initials NABJ or such other necessary and desirable information. (a) Monitoring all media to promote best practices or advocate for improvement with respect to coverage of the African-American community and black diaspora, and fairness in the workplace for black journalists. (b) Increasing the number of black journalists working as staff, supervisors and management in diverse newsrooms. (c) Being an exemplary group of professionals that honors journalism excellence and outstanding achievement. (d) Encouraging and supporting black journalists aiming to become media entrepreneurs and or work independently. (e) Encouraging high school and college students and people working in other professions to become journalists. (f) Providing professional development and training as well as fellowships, internships and scholarships. (g) Increasing the number of African Americans working as faculty and leaders of academic journalism programs. (h) Strengthening ties between black journalists in mainstream and black-owned media across the nation and world. (i) Engaging in such other activities permissible for nonprofit corporations in accordance with Section 501 (c)(3) of the Internal Revenue Code, as amended, and the rulings and regulations thereunder. Section 1. Compliance. This constitution, adopted in conformity herewith, shall comply with applicable federal, state or District of Columbia law governing the transaction of NABJ business. Accordingly, this constitution shall also serve as the organization’s bylaws. Section 1. National Officers. The officers of the organization shall be president, vice president-print, vice president-broadcast, secretary, treasurer and parliamentarian. Effective with the 2015 election, the national officers shall also include the position of vice president-digital. Section 2. Executive Board. The Executive Board shall consist of the organization’s national officers. In those instances in which it is impractical for the board of directors to perform its duties because of timeliness or costs, the executive board may undertake any action deemed for the good of the organization. The executive board may take action when a quorum, consisting of a majority of its members, is present. Any such action by the executive board shall be communicated as soon as possible to the board of directors and is subject to ratification by the full board. The executive board cannot unduly rescind or overturn any action of the full board. Section 3. Duties and Descriptions of Officers. The duties and descriptions of the officers of the organization, to wit, the president, vice president-print, vice president-broadcast, vice president-digital, secretary, treasurer and parliamentarian shall be as specified in the organization’s operating procedures and may be amended by the board of directors as necessary. (a) The board of directors shall be 14 in number, and shall include the national officers, four regional directors, a media-related representative, an academic representative and a student representative. (b) The size and composition of the board of directors as of August 2014 shall remain in effect, and its members then serving shall remain in office until their terms expire in August 2015. Thereafter, the board of directors shall be constituted as provided in Section 4(a) above. (c) The board of directors may act when a quorum, consisting of at least eight (8) members of the board, is present. Section 5. Members. The organization’s overall governing body shall be the membership. Between national conventions, the board of directors shall be the organization’s governing body, subject to the constitution and the organization’s operating procedures The board of directors shall have no authority to alter or amend any action taken by the membership. Article II. Eligibility for Office and Term of Office. Section 1. Eligibility for Office. To be eligible for office in the organization, a candidate must be a member in good standing and abide by the stipulations provided below in Chapters 4, Article I, Sections 2-6. Section 2. Term of Office. Except as provided below in Section 2(a), terms of office for the board of directors shall be two years. All officers, regional directors and representatives of the organization shall be elected at an annual meeting and may serve in the same office no longer than two consecutive terms. (i) The president, vice president-broadcast, vice president-digital, secretary, student representative and two regional directors shall be elected to two-year terms that will commence in 2015 and expire in 2017. (ii) The vice president-print, treasurer, parliamentarian, academic representative, media-related representative and two regional directors shall be elected to three-year terms that will commence in 2015 and expire in 2018. Section 3. Limitations. No member of the association may hold more than one national office or position on the board of directors at the same time. An incumbent may retain his or her office or position while seeking another office or position – but must vacate the former office or position before assuming the new one if elected. Section 4. Vacancies. In the event that a national officer or member of the board of directors does not complete his or her term – or if no one seeks a particular office or seat on the board – the president shall appoint an eligible NABJ member to serve for the remainder of the term. Section 5. Removal From Office. The president, with the board of directors’ approval, shall have the authority to remove from his or her seat any officer, representative or regional director who has not been active or devoted the time necessary to carry out his or her duties. Article I. Powers and Duties of the Board of Directors. Section 1. Executive Director. 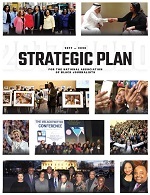 The board of directors shall have the authority to employ a person of suitable qualifications who, whenever possible, shall be an NABJ member; whose title shall be executive director, and whose duties shall be to operate the organization’s national office, subject to the board’s supervision, pursuant to the executive board’s direction. (a) The executive director shall primarily report to the president and is otherwise subject to the executive board’s and board of directors’ supervision. (b) The board of directors shall set the executive director’s salary. He or she shall be bonded in a sum the board of directors determines. (c) The executive director shall serve at the board of directors’ discretion and direction. The executive board, acting as the personnel committee, may remove the executive director from his or her position in accordance with terms of employment, but only after consultation with the board of directors. Section 2. Annual Budget. The board of directors shall adopt an annual operating budget for NABJ. (a) The operating budget so approved shall, in accordance with generally accepted accounting principles, allocate expenses and disbursements as are usual and customary in the operation of similar organizations for the succeeding calendar year. (b) The president (or the president’s designees) shall present the next year’s proposed calendar-year budget – as prepared by the treasurer and executive director – to the board of directors for adoption as close as possible to the prior calendar year’s last business day – and also to the membership for disclosure as soon as possible by electronic means and at the organization’s next annual meeting. (c) The fiscal year of NABJ shall begin on Jan. 1 and end on Dec. 31 of each year. Section 3. Chapters. The board of directors is authorized to oversee the relationship with existing NABJ chapters and to enter into a relationship with new chapters, pursuant to the operating procedures. Section 4. Meetings. The board of directors shall meet at least twice a year – including at least once during the annual convention and at another time to adopt the organization’s annual budget – or pursuant to the operating procedures. The president or board of directors may call special board of directors meetings. Rules governing notice of special meetings shall be established in the operating procedures. Article I. Composition of the National Membership and Membership Eligibility. Section 1. Membership Composition. The organization shall be composed of journalists, journalism educators, students interested in pursuing a career in journalism and people or entities that support the organization’s vision and goals. Section 2. Lifetime Members. Lifetime membership shall be open to all NABJ founders, past NABJ presidents not removed from office, NABJ Hall of Fame inductees and lifetime achievement recipients, and those who have paid for lifetime membership as prescribed by the operating procedures. Lifetime members may vote in any NABJ matter calling on the entire membership to decide except for the election of the academic, media-related or student representatives. Lifetime members may also seek election to the board of directors as constitutionally permitted. Section 3. Professional Members. Professional membership shall be open to any person whose principal livelihood comes from creating, producing or supervising the creation of journalism. Professional members may serve on the board of directors and vote in any NABJ matter calling on the entire membership to decide, except for the election of the academic, media-related or student representatives to the board of directors. Section 4. Emerging Professional Members. Emerging professional membership shall be open to anyone who otherwise meets the criteria for professional membership as provided above, but is also within the first five years of his or her journalism career. Emerging professionals may not serve on the board of directors, but may vote in any NABJ matter calling on the entire membership to decide, except for the election of the academic, media-related or student representatives to the board of directors. Section 5. Academic Members. Academic membership shall be open to high school, college and university faculty and other academic professionals, including administrators and trainers, with research and or teaching interests in journalism. Academic members with at least five years prior experience in journalism may serve in the academic seat on the board of directors, and may vote in any NABJ matter calling on the entire membership to decide, except for the election of the media-related or student representatives on the board of directors. And only such academic members are eligible to serve as – or to vote for – the academic representative to the board of directors. Section 6. Alumni Members. Alumni membership shall be open to anyone who had been a professional or academic member of NABJ for not less than 25 years, and who has either retired or otherwise no longer works within journalism or academia. Alumni members may not serve on the board of directors, but may vote in any NABJ matter calling on the entire membership to decide, except for the election of the academic, media-related or student board representatives. Section 7. Media-Related Professional Members. Media-related professional membership shall be open to an individual working primarily in a field related to journalism – such as public relations, public information, marketing, communications, advocacy, legal, etc. 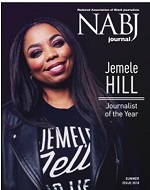 – and whose work supports the mission of NABJ. Media-related professional members shall be admitted to national membership sessions, may voice a non-binding opinion at such meetings and may serve on committees, provided they do not comprise more than one-third of any committee. Only media-related professional members are eligible to serve as – or to vote for – the media-related professional representative on the board of directors. Media-related professional members may not vote in any other NABJ matter. Section 8. Student Members. Student membership shall be open to high school, college or university students – including undergraduate, graduate and associate degree students – who have a demonstrated interest in journalism. Student members shall be admitted to national membership sessions, may voice a non-binding opinion and may serve on committees, provided they do not comprise more than one-third of any committee. Only college or university student members are eligible to serve as – or to vote for – the student representative on the board of directors. Student members may not vote in any other NABJ matter. Section 9. Honorary or Corporate Members. The board of directors shall have the authority to establish additional categories of non-voting memberships, such as honorary or corporate memberships, to corporate sponsors and community members who support NABJ’s mission. Such categories shall be considered honorary, and no individual or sponsor granted such designation may vote or is eligible for any of the rights afforded members as defined above. Section 10. Membership Dues. To be a member in good standing in any membership category provided in this article, an individual must meet the eligibility requirements – and pay to NABJ the required membership dues pursuant to the organization’s operating procedures. The board of directors shall determine the dues structure and the due dates for payment. Section 11. Status prior to 2014. Notwithstanding the foregoing, any individual who once held full member status between August 2009 and August 2014 may become a lifetime or professional member provided he or she seeks lifetime or professional member status by Dec. 31, 2014. Any individual deemed a lifetime or professional member by such date may retain such status indefinitely, provided his or her membership dues never lapses. If his or her dues lapse, the individual must reapply for membership status in accordance with the guidelines prescribed and may be re-admitted to membership, but only in the category for which he or she is then currently eligible as defined in Sections 2-9 above. Section 12. Membership Committee. All applications for any NABJ membership category as provided above shall be subject to the membership committee’s review. Anyone wishing to appeal a related committee decision may do so to the board of directors, which may endorse or overrule the committee’s decision. Section 13. Disclaimer. Nothing in this constitution or in this article shall be construed as limiting the right of the organization to refer to persons or entities associated with it as “members,” even though such persons or entities are not members as defined in Sections 2-6 above, and no such reference shall constitute anyone a member, within the meaning of the District of Columbia Code or the foregoing provisions of this article, unless such persons shall have qualified for and be a member in good standing as defined in Sections 2-6 above. All references in this constitution, the NABJ bylaws, or in the Law, to “approval by the members” or “approval by a majority of members” or a “quorum of the members” shall be deemed to apply to the membership categories specified in Chapter 4, Article I, Sections 2-6 only. Article II. Membership Meeting, Powers and Voting. (a) Hearing and acting upon the reports of the national officers and board of directors. (b) Providing education and professional development workshops at a national convention. (c) Providing a job fair primarily for those journalists seeking job opportunities. (d) Hearing and acting on such business that may be presented to and by the membership. (a) Adopt amendments to the constitution. (b) Elect national officers as prescribed above in Chapter 2, Articles I and II. (c) Do such other things as may be necessary or appropriate for the good of the organization and its members. Section 3. Voting and Voting Eligibility. Any member as defined in Chapter 4, Article I, Sections 2 through 6, can vote in accordance with this constitution, the operating procedures and election committee guidelines. A quorum of 51 percent of a majority of the voting membership must be registered at the convention. The membership shall have the authority to adopt, subject to ratification by simple majority of those members voting at a duly called and authorized annual meeting, any appropriate resolution, including, without limit, any emergency resolution. Section 1. Type of Chapters. NABJ will align itself with two types of organizations for the purposes of extending its mission into local communities and to journalists. (a) Professional chapters shall be located in such cities, municipalities or areas the board of directors may approve. (b) Student chapters shall be made up principally of college or university students interested in pursuing a career in journalism. (a) The membership committee determines the applying organization’s constitution aligns with this constitution. Any person wishing to appeal a related committee decision may do so to the board of directors, which may endorse or overrule the decision. (b) The applying organization, at the time of its application for alignment with NABJ, and at the time of the annual renewal of that status, submits to NABJ a membership list showing that two-thirds of the organization’s members are eligible for NABJ status as provided in Chapter 4, Article I, Sections 2-6 of this constitution. (c) The president and vice president(s) of the applying organization are lifetime or professional NABJ members as provided in Chapter 4, Article I, Section 2 or 3 and the remaining officers are NABJ members. Section 3. Student Chapter Organization. An organization of five or more NABJ student members may seek student chapter status if it meets the criteria in the above section and has as its advisor an NABJ member as defined in Chapter 4, Article I, Sections 2-6 of this constitution. Section 1. Regions. NABJ shall be composed of four geographic regions, each of which shall elect a regional director to represent it on the board of directors, pursuant to guidelines prescribed in this constitution, the organization’s operating procedures and election committee guidelines. Article I. Constitutional Amendments and Effective Date. Section 1. Amendment Proposals. The board of directors or any professional member may propose amendments to this constitution. (a) Proposed changes to this constitution must be submitted in writing to the parliamentarian at least six (6) months prior to an annual national convention. At that time, the parliamentarian will convene and lead the constitution and bylaws committee to discuss or amend any proposed changes. The committee will forward any proposed amendment(s) to the board of directors with a recommendation. If approved by the board of directors, the committee, through the national office, will circulate the proposed amendment(s), to the national membership at least sixty (60) days prior to the next convention. The membership would be asked to approve the amendment(s) at such convention. Two-thirds of the total number of votes cast shall be required for an amendment to be adopted. (b) Unless otherwise provided in this constitution, amendments become effective sixty (60) days following the adjournment of said annual national convention. The parliamentarian, assisted by the national office, must circulate any approved amendments to the board of directors and national membership within those sixty (60) days. Section 3. Enactment. This constitution as amended shall take effect on Aug. 3, 2014, and shall supersede any prior NABJ constitution.